Caputo, who took over as the chief executive offer at Summerville Medical Center in early August, says he was ready for the next step in his career and the opportunity to live and work in a small but growing town. "I really felt like I wanted to be part of a community hospital in a great community," he says. "Summerville is a great place to raise a family. This facility seemed to be the right fit for me." 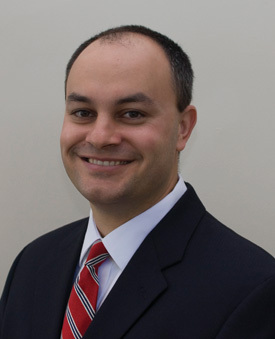 Caputo, who has been with Summerville Medical Center-s parent company, Hospital Corporation of America, since 2001, came to Summerville from the Tampa, Florida area, where he served as chief operating officer at South Bay Hospital in Sun City Center. He also has been associate administrator at Osceola Regional Medical Center in Kissimmee, Florida, and was with HCA in Nashville, at Centennial Medical Center, for three years prior to that. If his first few weeks in Summerville are any indication of what the future will bring, the Caputo family-s stay in The Flowertown in the Pines will be a pleasant one. "So far, the people at the hospital as well as the Summerville community have been very welcoming and warm," he said a few weeks after taking over the reins of the hospital. "From patients to staff to physicians to folks around town, everyone has been very friendly." Caputo has a bachelor-s in economics from the University of the South in Sewanee, Tennessee. He earned his master-s at Belmont University in Nashville and has been a fellow in the American College of Healthcare Executives since 2004. He and his wife, Abby, have three children, ages 6, 3 and 2. According to the 34-year-old Caputo, the people who run a good community hospital must first understand the needs of the community, then provide the services that meet those needs. For example, he points out that Summerville Medical Center is in the process of expanding its sleep disorder program because there-s been so much demand for its services. Caputo thinks national health care reform will have little immediate effect on the services provided by Summerville Medical Center. He points out, however, that there could be some changes down the road. "In the long-term, depending on how reform goes, there could be either more of a demand or less of a demand on hospitals in general," he says. "The biggest element is the resources. Where will the resources shift with health care reform? They might be directed more toward community hospitals. The government might say we need to provide more services in people-s backyards."